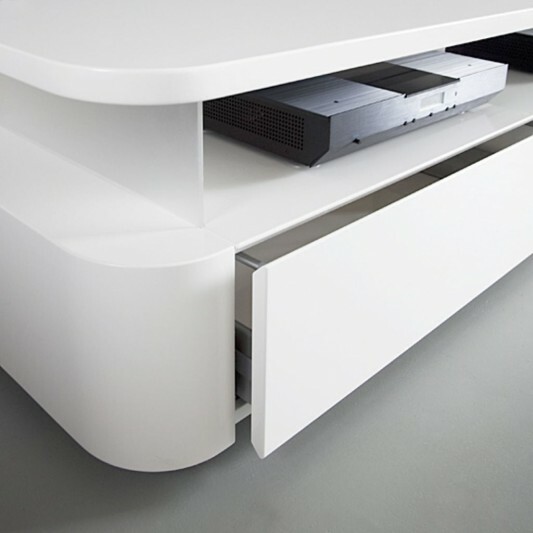 Audio storage cabinets as well as a LCD TV stand, designed with minimalist and modern design. 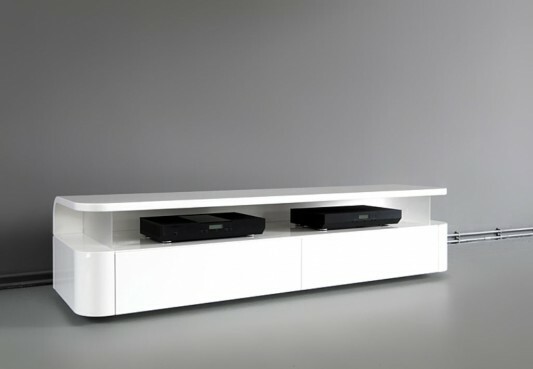 This RKNL audio cabinet furniture is coated with an elegant white color to complement the modern living room decoration. 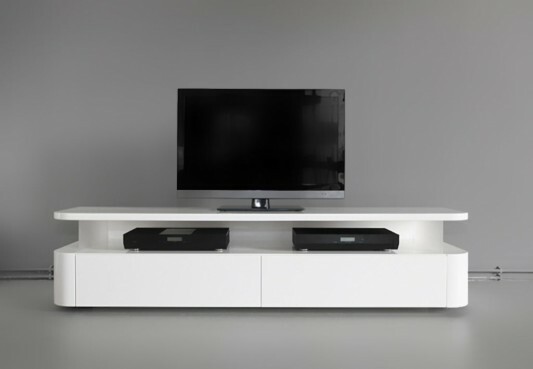 Audio TV furniture is equipped with, a drawer for storing DVD players, and other audio devices equipped with a lid, for the neatness of the cable on track for audio hidden behind this furniture. 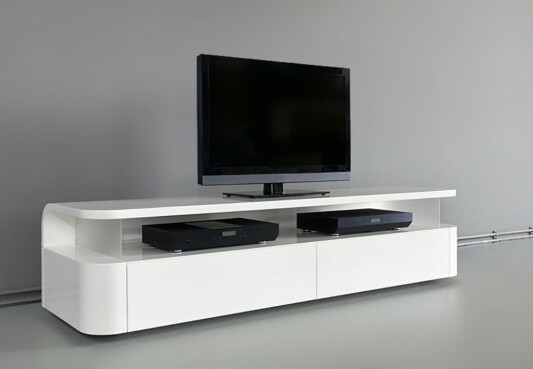 Elegant design to complement the product Odesi my previous post, modern minimalist TV stands ideas (audio furniture oval). LCD TV cabinet design is designed with size, width: 120 cm and 180, Depth: 52 cm, and Tool Height: 14 cm. Audio RKNL made from high quality wood, with a curve made of flexible wood. 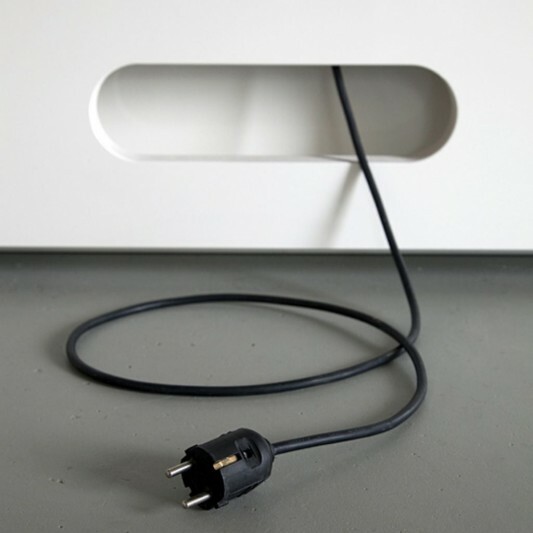 Equipped with semi-transparent panel in the cabinet are made of plastic. Completion of the series will almost RKNL furniture may be trademarks Odesi. We set very high standards for all our products are sprayed, spraying Audio RKNL require so much expertise. The 20 RKNL known and is now an icon in high gloss white. However, this combination is very popular. To RKNL Audio is the same finish options are available. Both gloss and satin in various colors. 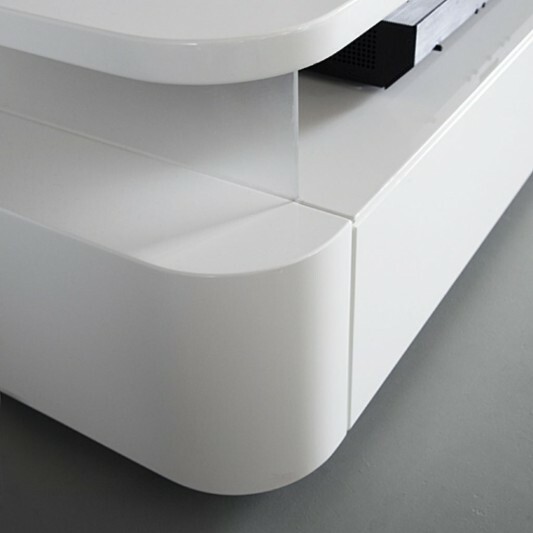 Design RKNL audio cabinet is sprayed with two layers of special components. This layer is very hard and scratch resistant enough. Over time, can create small scratches occur. Superficial scratches can be removed. If you really damaged the table may still be painted. 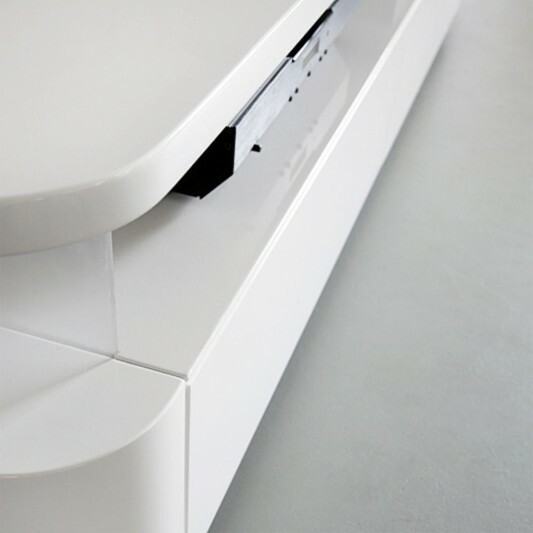 Visit Odesi to see minimalist furniture design, and their other audio furniture.